Old Grand-Dad is a bourbon that has been on the market since 1882 and moreover is dirt cheap. The brand was founded by Raymond B Hayden and he named it after is grand-dad Basil Hayden, another famous distiller from the late 19th century. 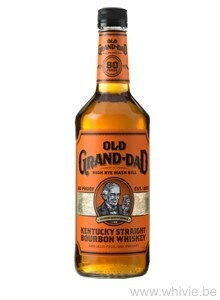 Nowadays it is produced by Jim Beam in the gigantic distillery in Clermont, Kentucky. 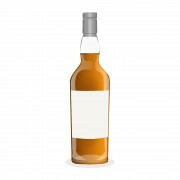 A bottle is less than 25 EUR. It stands out because of its high amount of rye in the mash bill. Bottlings are available at 40%, 43%, 50% and 57%. I will try the entry level version at 40%. Honeysweet nose on caramel, tobacco leaves, pecan nuts, multi grain bread, orange peel, raw corn and the very present spiciness of rye. The arrival is somewhat watery, but it is nicely fruity and spicy. Nuts return as dos the corn and a big dose of vanilla and cherries. Cinnamon and nutmeg are the loudest spices. The bread from the nose turns into a sugar loaf. The finish is short to medium on cherries and orange marmalade. Nice bourbon to drink neat, but it really shines in an Old Fashioned. Thanks for the sample, Pat! I would highly recommend you try to get your hands on some of the BiB (50%) or, even better, the 114 (57%). Also inexpensive, they are excellent. 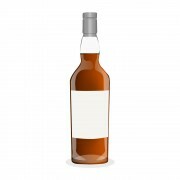 The 114, which can be found for lass than $20US in the US, is tastier than a number of single malts I've tried that cost more than $100.